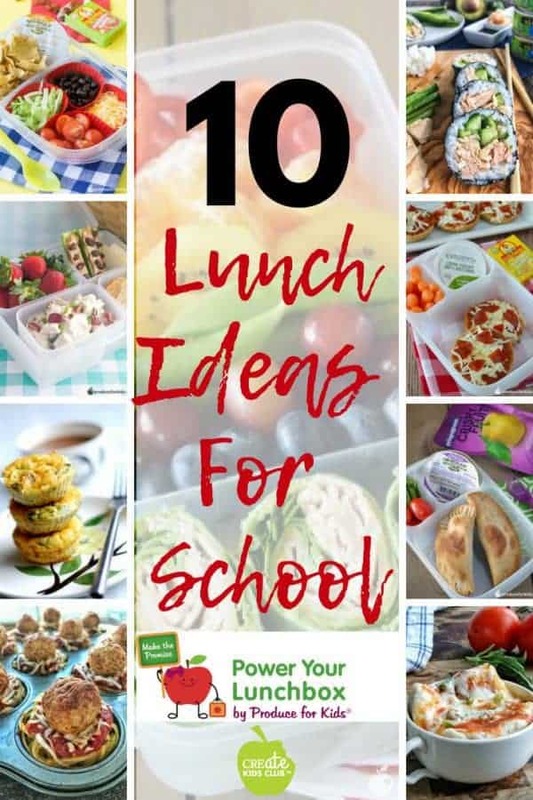 Power Your Lunch Box With 10 fresh ideas for a healthy school lunch! I’m proud to say that Create Kids Club is once again partnering with Produce for Kids to help families find simple, healthy lunch recipes while promising to eat a healthier lunch this year. As always, all opinions are my own. I totally get making a nutritious lunch five days a week for an entire school year isn’t easy, I work hard to accomplish this myself with my 10 and 12-year-old. I love that the Power Your Lunchbox program helps by providing fun, easy to make recipes that taste amazing and are kid-friendly! This past school year, Produce For Kids was able to donate nearly 450,000 meals to families in need through Feeding America® thanks to the many families and classrooms who made the promise to eat a healthier lunch through the #PowerYourLunchbox Campaign. I hope you’ll consider taking part this year and help feed more families in need. Click to Take the Promise HERE then save this post for simple, healthy recipes that help meet your lunchbox goals! Between the recipes at Create Kids Club and those found at Produce For Kids, we have you covered for lunch this school year! Today, I’m showcasing 10 healthy lunchbox ideas that your kids will love. Which one will you try first? 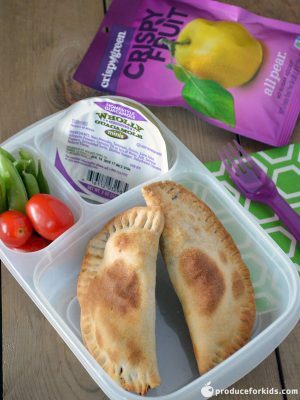 Black Bean Empanadas might sound difficult, but by using frozen empanada disks, this lunch box idea is a breeze. Make a batch of these for lunches then freeze them. I think they sound pretty amazing as a dinner idea as well! Kids like to eat foods that looks fun and appetizing. What’s more fun than eating the rainbow?! 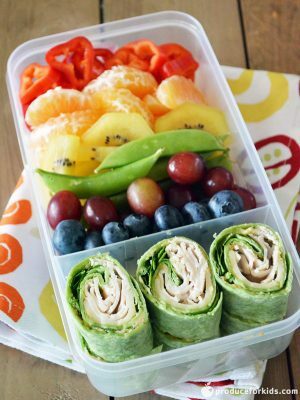 A Rainbow Bento Box lunch packs a huge nutrition punch with a large variety of fruits and veggies in a simple, delicious way. Kids love spaghetti, so why not serve it for lunch? 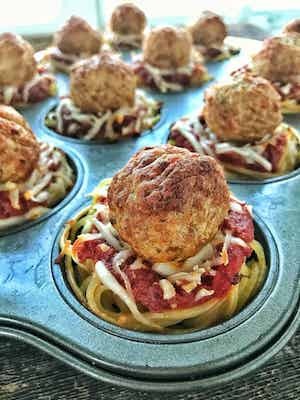 Spaghetti & Meatball Cups are a fun take on traditional spaghetti and meatballs can be made ahead of time and frozen or served for dinner. Using premade meatballs this lunch idea for school comes together quickly. If your child has access to a microwave at lunchtime, Microwave Mug Pizza is a great option! 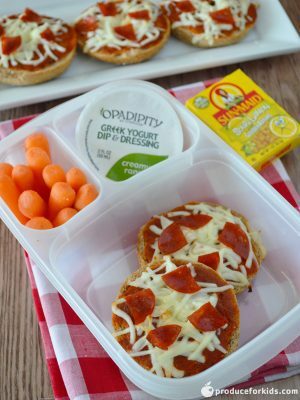 This lunch idea for school uses premade pizza crust that’s topped with pizza sauce, cheese, and veggies of choice! It’s microwaved, then ready to eat! 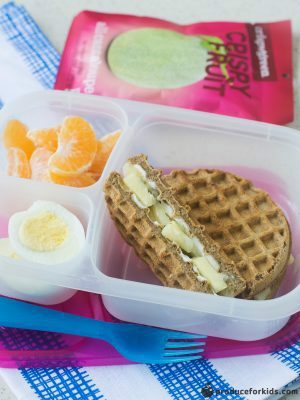 Breakfast Wafflewich Bento Box combines breakfast and lunch in a super fun and tasty way. 2 waffles are stuffed with pineapple, kiwi, and cream cheese, but you could choose any fruit your child enjoys! 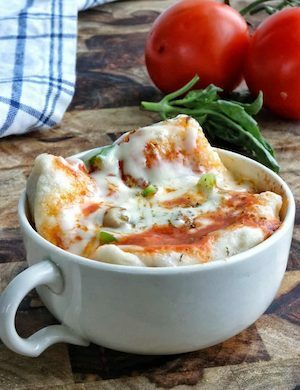 Mini whole wheat bagels are used as the crust for these adorable Pizza Bagel Bites. They are made with just 4 ingredients and freeze great! Check out Produce For Kids Build Your Own Pizza Guide for more ideas! 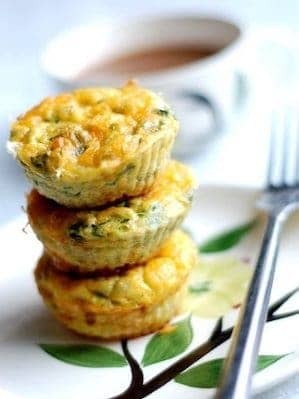 Baked Egg Muffins freeze well and work great heated then kept in a thermos for lunchtime. They also are a fantastic way to get a few extra veggies into kids in a fun and tasty way! Are your kid’s sushi fans? 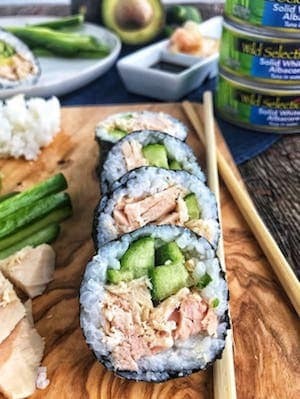 Tuna Sushi Rolls are an easy make at home sushi that’s safe to pack for school lunch. They might look complicated, but they really are easy to make once you have the sushi rice cooked. Make extra because you’ll want these for your lunch too! 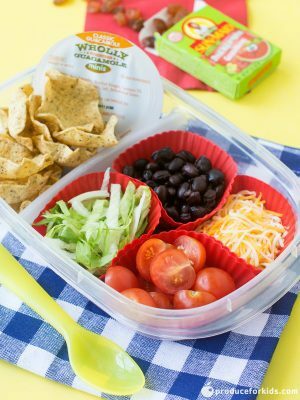 Another fun lunch box idea is DIY Nachos. Utilizing whole grain tortilla chips, veggies, beans and cheese, this is a kid favorite! Kids love dipping, why not try this Chicken Salad bento box idea? 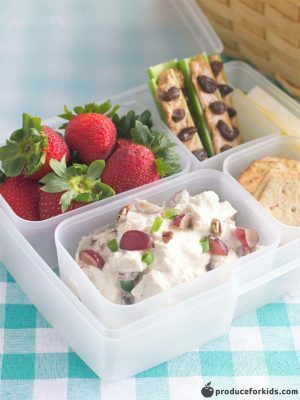 Use leftover chicken to make the chicken salad, add some whole grain crackers, fruit, and a veggie and lunch is ready! Another fun way to #PowerYourLunchbox is with nonfood treats like Lunch Bites ™ lunch box note cards! By adding these fun notes to your child’s lunch box daily, you’ll make them laugh and feel extra loved day after day! Kids love to share these notes around their lunch table and look forward to them each day! If you enjoyed these recipes make sure to leave a comment below or share with friends & family who would find it useful! Then follow me on social media! FREE Lunch Bites Note Cards! FREE printable Lunch Bites lunchbox note cards perfect for school lunch or back packs!